Applications have, traditionally, been developed as “monoliths.” This term describes how application code is compiled and delivered. 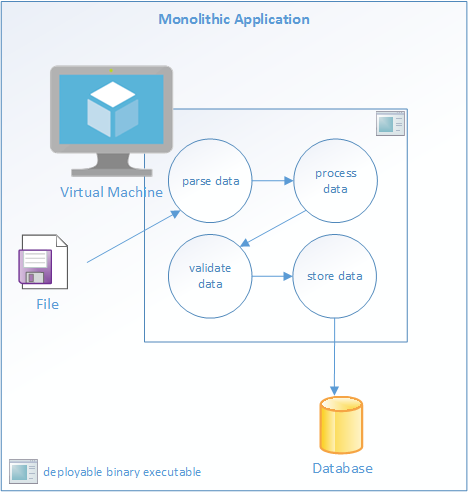 Monoliths are compiled and/or packaged into a single binary, or a bundle of code, and deployed as a single unit. That single unit contains hundreds, sometimes thousands of lines of code. The functionality packed into that deployable artefact is most, if not all, of the functions of the application. This method of software delivery has been eclipsed in the last five years by microservice architecture. Microservices contrast with monoliths in that each microservice is tightly “bounded.” It performs one essential function of an application, and nothing more. All interaction with microservices are governed by the contract it exposes, in the form of an API. The most common form of this is a small collection of REST-supporting endpoints. The operational differences between monoliths and microservices are most evident when troubleshooting a failure. Monoliths are convenient because all the code is bundled together. It’s easy to track a request to the code through its entire lifecycle. This might start with a button on a web page, and move through a “stack” of functions that lead to a database query. Everything the debugger and logging systems need to gather and report on application behavior is concentrated in a single deployable. Microservices are not conveniently bundled. They are distributed by design. Each microservice is deployed independently. Requests may flow through many microservices as they pass data back and forth from client to server. Debugging a problem, such as malformed data and exceptions, or performance issues such as slow response times, is more complex. How does a team decompose a monolith into a set of microservices, without losing the ability to respond to operational problems? Let’s find out. The term “debugging” conjures specific images in the minds of developers. If you’re most comfortable in an IDE such as Visual Studio or Eclipse, you likely have images of breakpoints and stack traces running through your head. This interactive form of debugging is extremely useful in DEV environments. Extreme situations may call for remote debuggers in other environments, perhaps even production. However, this is the exception and not the rule. Attaching remote debuggers requires additional configuration and sometimes elevated privileges. It may come as a surprise that remote debugging is not necessarily the most efficient way to track down problems. Debugging modern, distributed, microservice applications is best accomplished with effective logging. This is a reactive method of debugging that provides visibility into the behavior of an application. The days of logging to, then manually searching massive text files are over. Logging is the best way to debug, so proper logging practices are the first place to start improving your ability to debug. Your developers can’t debug behavior they can’t see. Lean towards “too much information” when logging. Disk space is cheap, and your logs can roll every thirty days or so. Don’t be shy about recording everything your services do. Logging is most effective when paired with a crash reporting tool, which will surface the exact line of code where the error occurred, making the debugging process much faster. Every function of every microservice must be instrumented. It’s not enough to just log errors in a catch block. You’ll want informational logging of the entry and exit points of functions so you can measure the time they take to execute. Each log should include enough context to understand where it is coming from, including the name of the function, and the name of the user, where applicable. Each microservice will have its own set of logs. Requests are passed, “hot-potato” style, from one service to the next. A single button click on a web page may result in a cascade of requests flowing through several microservices. But how do you track that request through all those services? The simplest solution is to generate a unique “correlation” ID that will follow all requests. There are several ways to implement this solution. An “edge” service that initiates interactions with all internal microservices can generate the ID. Alternatively, microservices can generate the ID on any call that does not have an ID. All your microservices must have the ability to accept the ID and include it in their logging. This will tie the requests together, no matter how many “hops” there are between services. The ID will then be included in all logs that correlate to that request. Searching the combined logs for an ID should return all the calls related to that request. The context of an ID is up to you. It can be anything; a user-generated action, a scheduled job, or a call to a public API. If you’re not logging much, or at all, that is your starting point. Your team’s ability to debug will depend on the completeness of your logs. Past outages are an excellent source of guidance for how and what to log. Use incident postmortems to ask: “what data did we need to detect this outage? How can we include that in standardized logging?” Use as many incident reports as possible to develop generalized logging patterns. Apply your new logging patterns to your development practices. Review them regularly, and discuss them in code reviews. Enforce basic logging patterns by including static code checks in your continuous integration pipeline. Code quality analyzers can be configured to look for missing logging code. Testing your code for logging patterns can prevent un-logged functions from being deployed. Searching multiple files and databases for logs is difficult.Where possible, your logs should all go to a single database. Most popular logging frameworks support redirection of logging to a database or an HTTP endpoint. Keeping all logging data in a single location will greatly simplify the task of debugging and tracing. Code cleanliness: is the logging code easy to read? Performance: does the logging cause request latency or other performance problems? Familiarity: does your team already have experience with a particular framework? Work with your developers to rate these and any other considerations you can think of by impact. Use that priority to create a short-list of frameworks that may work. If two are ranked close together, try a bake-off. Develop a spike using both frameworks and run some performance tests. Logs can be stored in files and relational databases. Many of the logging frameworks referred to earlier support both. Specialized databases called time-series databases (TSDB) are better suited to gathering telemetry. Some TSDB include web-based data visualization tools that can be used to query logs. Grafana is a dedicated visualization tool that works with most TSDBs. The best combination of TSDB and supporting tools will depend on the operational requirements of the TSDB, and the capabilities requirements for debugging and tracing your applications. Application Performance Monitoring (APM) tools like Raygun APM will surface performance problems in microservice environments using a lightweight agent. In the following screenshot from Raygun, you can see a slow trace causing a problem, then Raygun showing the line of code. How can debugging microservices be made easier? The brave new world of microservices brings with it both power and greater complexity. Debugging and tracing microservices is different from monoliths, and therefore must be treated differently. 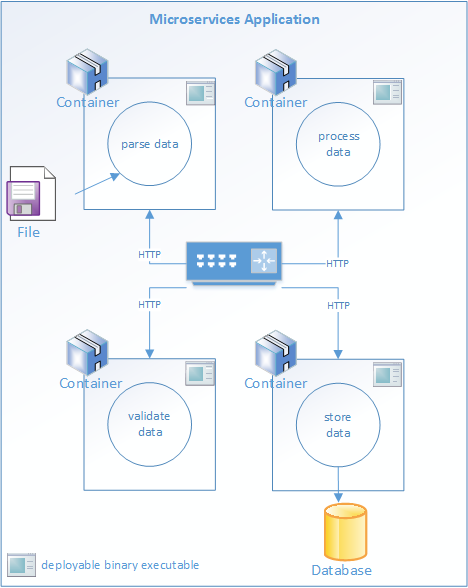 Microservices are deployed and operate independently of each other. This distributes the sources of logging across many individual services, rather than just one. Good logging is the best source of data to troubleshoot, debug, and trace microservices. Create robust, standardized logging practices in your development teams. Use code reviews and code quality tools to enforce those standards. Open-source and commercial databases and tools round out a complete strategy for keeping your microservices healthy and your systems running. Wondering how you can monitor microservices for performance problems? Raygun APM are designed with modern development practices in mind. 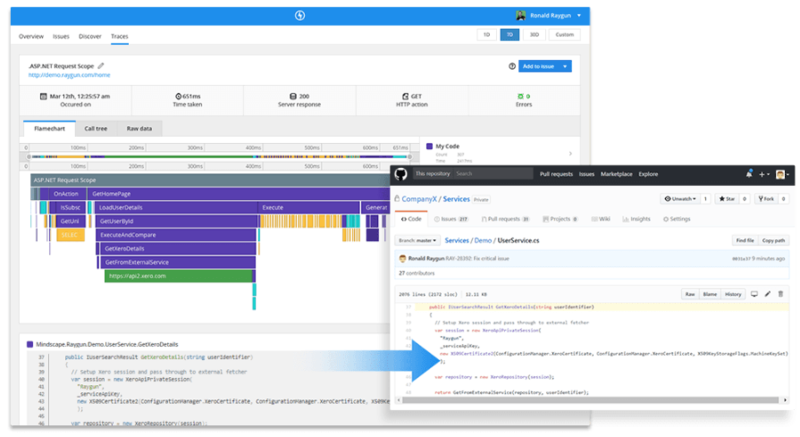 See how the Raygun platform can help keep microservice architecture performant. Sign up for OpsBuzz and we'll keep you up to date with our latest blogs and news.